DSCN5931, originally uploaded by trekr. 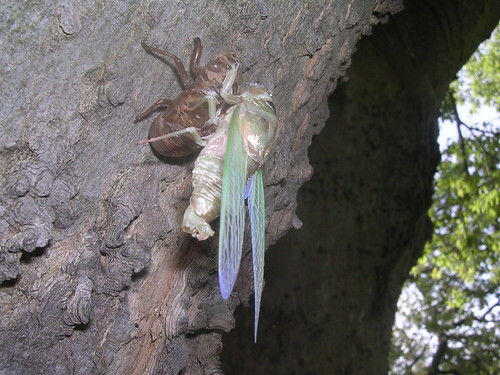 I caught this cicada hanging on its exuvium this morning. You rarely see this because it usually happens at night. This entry was posted on Wednesday, July 27th, 2005 at 9:52 am	and is filed under Garden. You can follow any responses to this entry through the RSS 2.0 feed. You can skip to the end and leave a response. Pinging is currently not allowed.